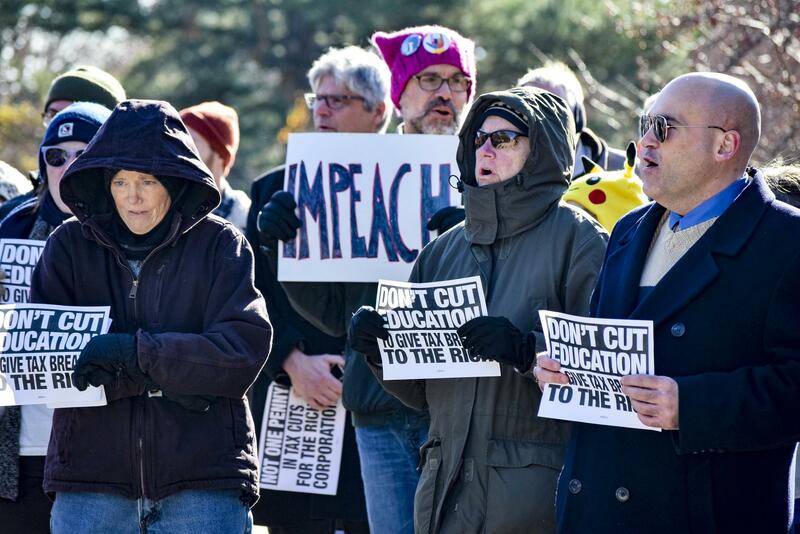 Dozens of protestors gathered on the Illinois State campus Wednesday afternoon to oppose the tax reform bill introduced by Republicans last month. 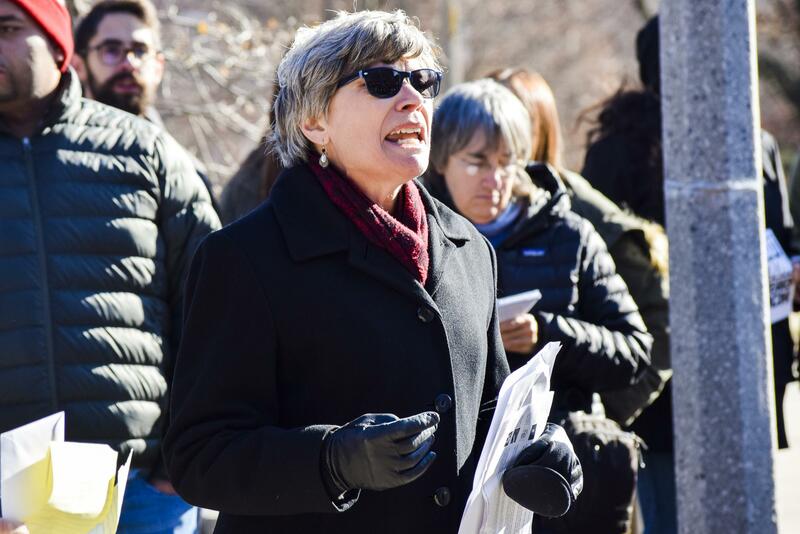 ISU Social Work Professor Diane Zosky spoke at Wednesday's rally. Republicans hope to have the bill on President Donald Trump’s desk by Christmas. 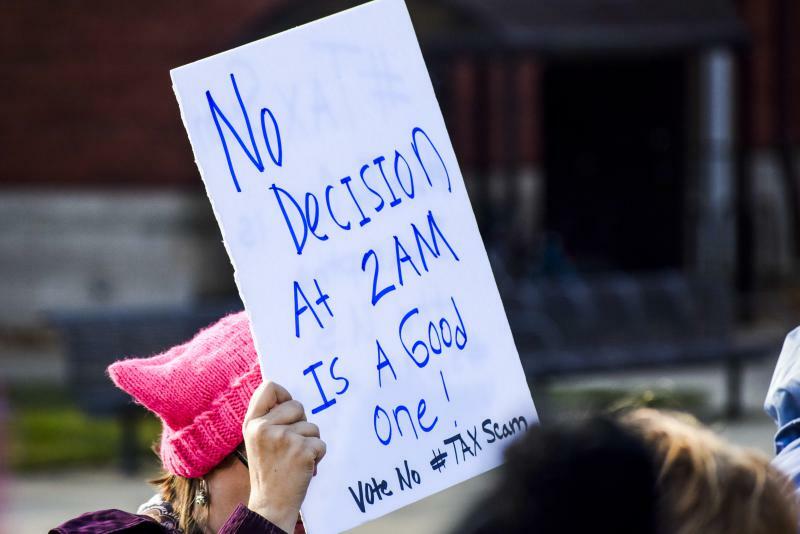 The House and Senate have each passed similar proposals, but they must come together on a final version. A speaker during the tax bill rally on Wednesday, Dec. 6, 2017, at Illinois State University. 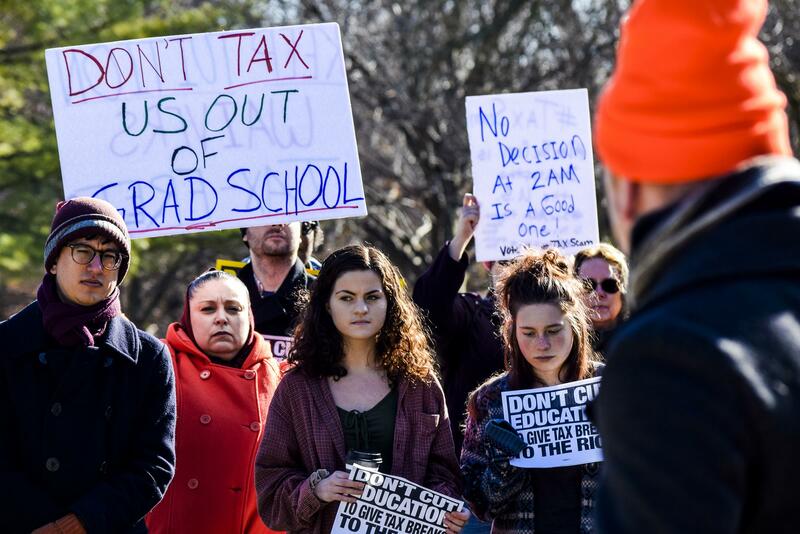 With the House bill calling to remove the existing tax exemption on tuition waivers, ISU sociology and anthropology graduate student Erik Zdansky said he fears higher education could become unrealistic for many students. 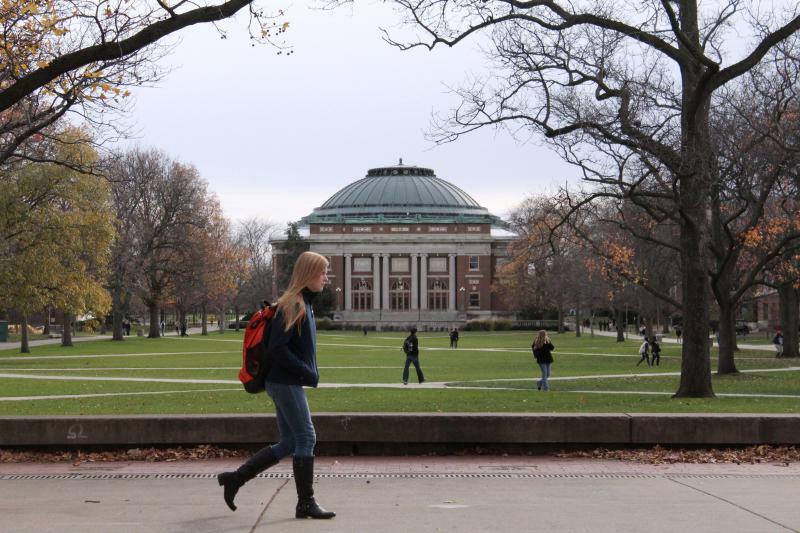 Zdansky said graduate students receive modest stipends from the universities, but that income is limited and is low enough to qualify for federally-assisted food stamps. 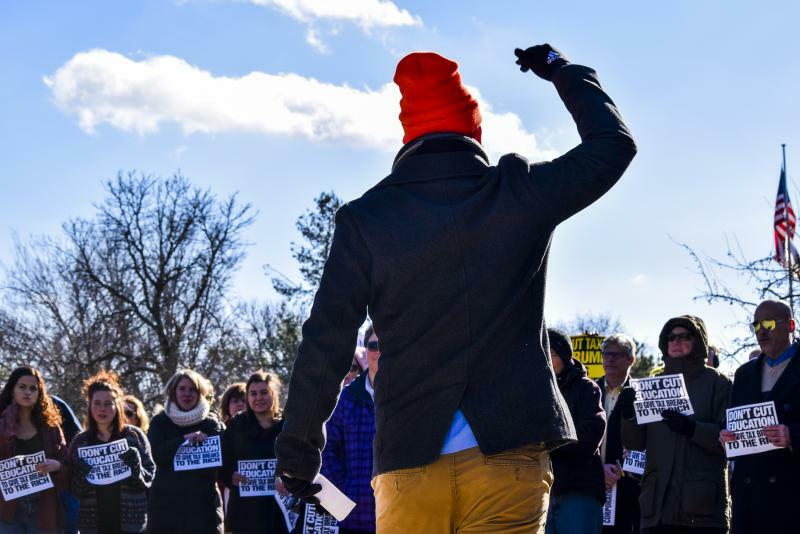 He is also a member of Service Employees International Union (SEIU), which aims to unionize graduate students. 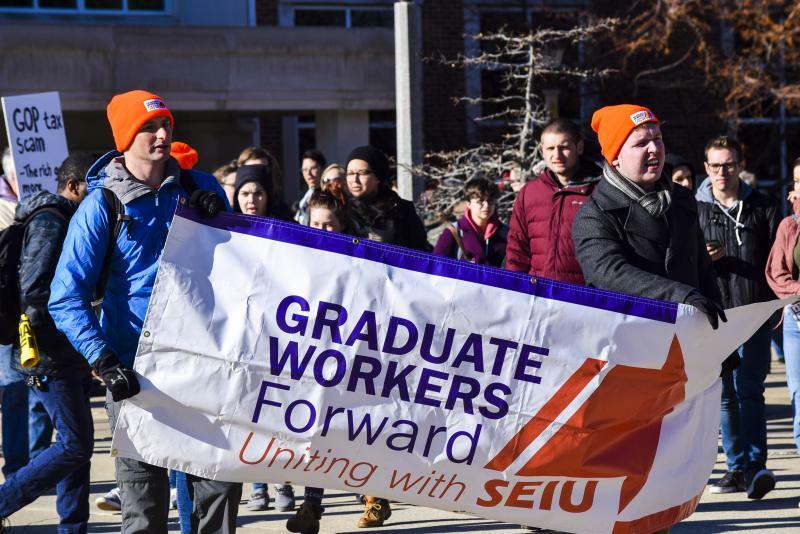 "Graduate students are struggling already, which is the key reason I and many students across the country are trying to create this union," Zdansky said. 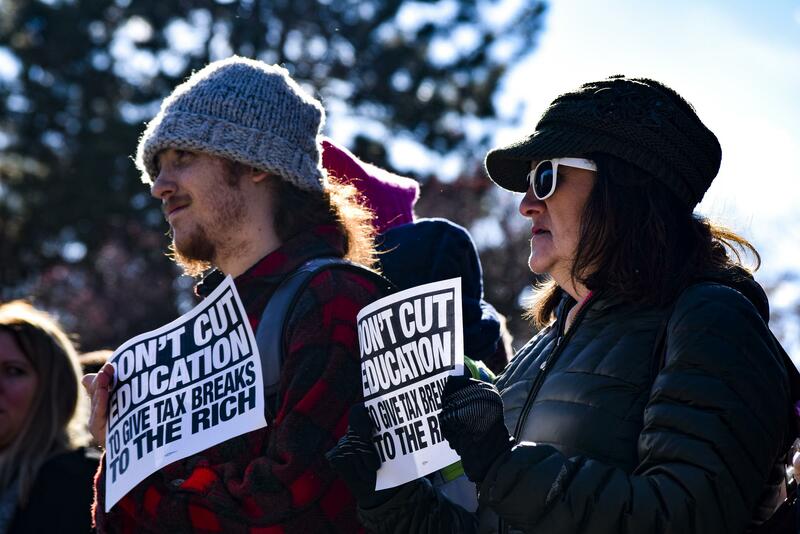 "If you don't have that, people just aren't going to school, and that would mean I wouldn't be able to increase my education so that I could better understand social problems or how things in society affect us all at a democratic level." 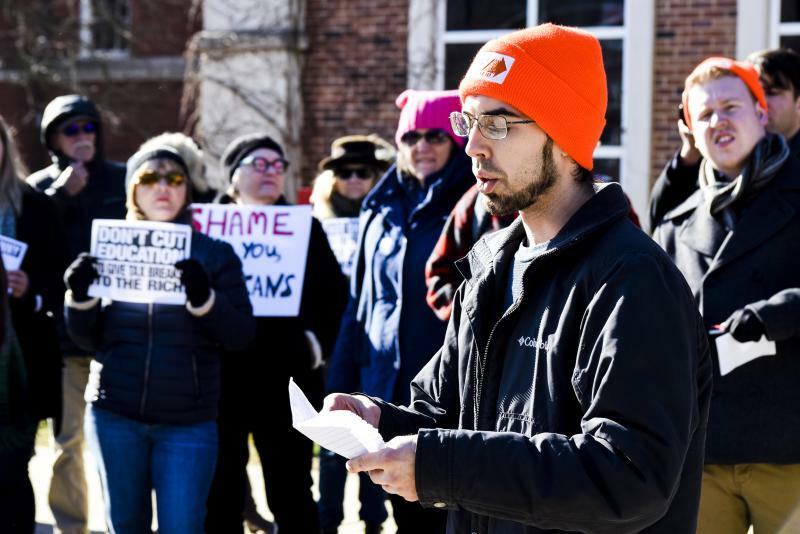 Wednesday's rally was co-sponsored by ISU graduate students, the local progressive group Voices of Reason and the ISU College Democrats. 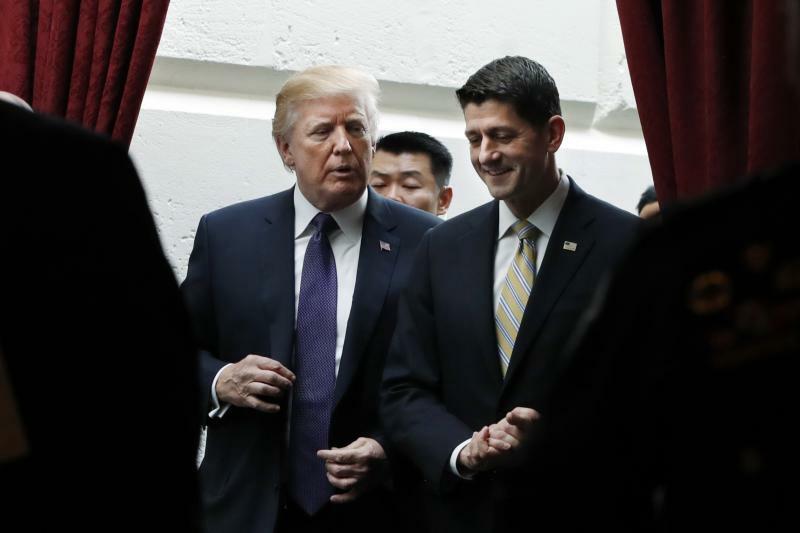 Economic experts and Democrats have been quick to criticize the bill, including a significant tax break for wealthy corporations and an increase of health care premiums. The Center on Budget and Policy Priorities predicts the nation's top earners would benefit most if the bill passes into law. "Why would we try in any way to hinder smart, young people coming and pursuing their education?" 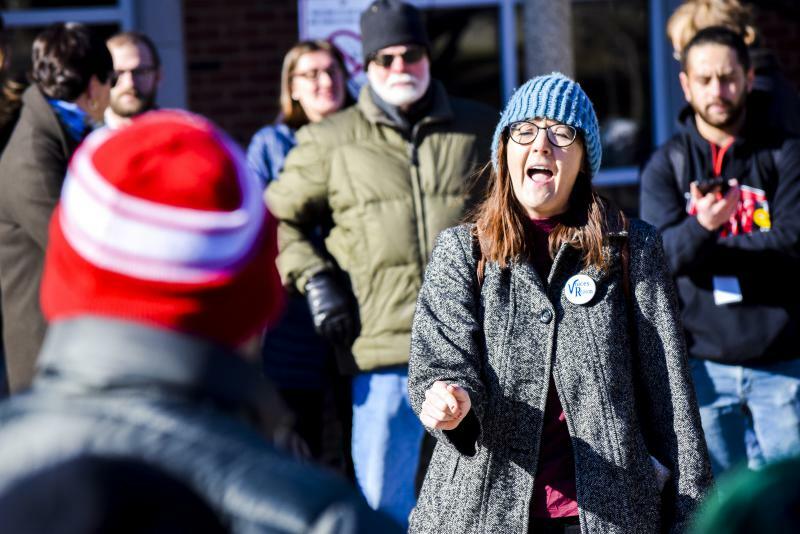 ISU Social Work Professor Diane Zosky spoke at Wednesday's protest. She said the potential impact of people unifying for a mutual cause can be powerful. 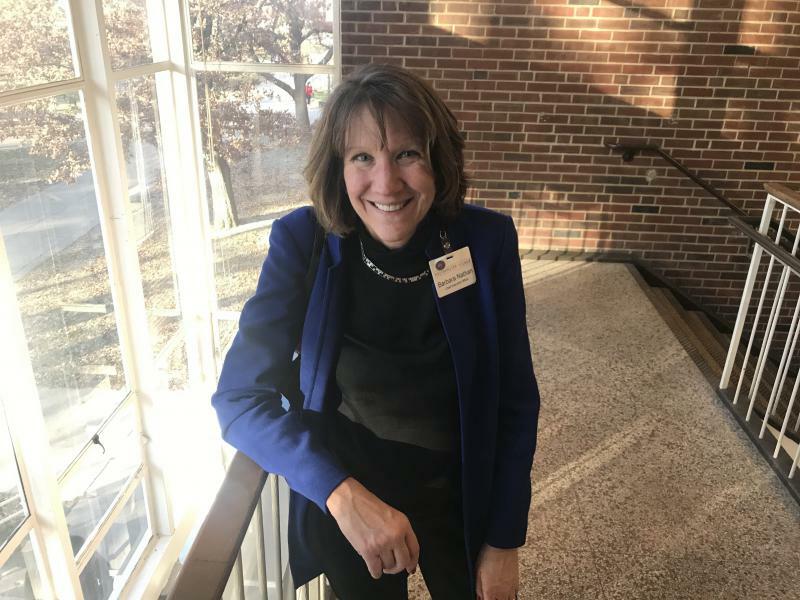 Zosky said the tax bill has the ability to discourage students from attending graduate school, which she says could worsen the educational gap between the United States and other countries. "As a country, we are falling behind other developed countries in terms of education, innovation and research," Zosky said. "It just flies (in) the face (of) logic. Why would we try in any way to hinder smart, young people coming and pursuing their education? It makes no sense at all." 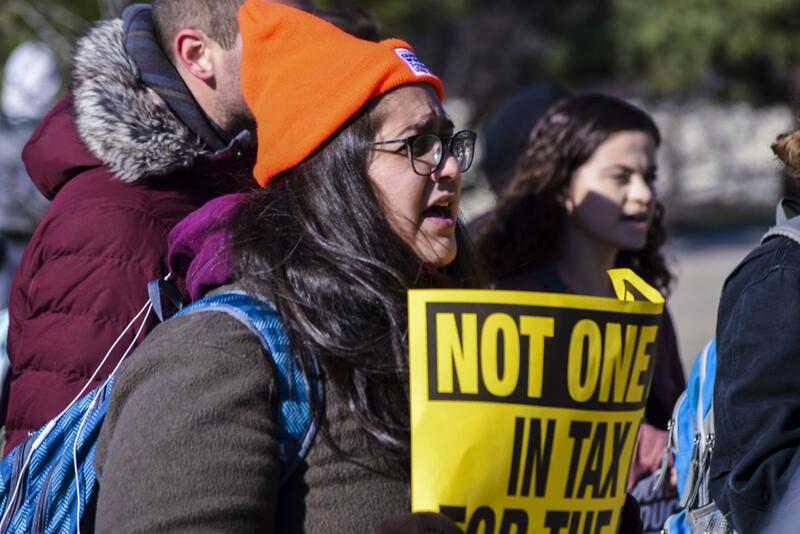 Graduate students at the University of Illinois at Urbana-Champaign are worried that the Republican tax reform plan could make their education more expensive.